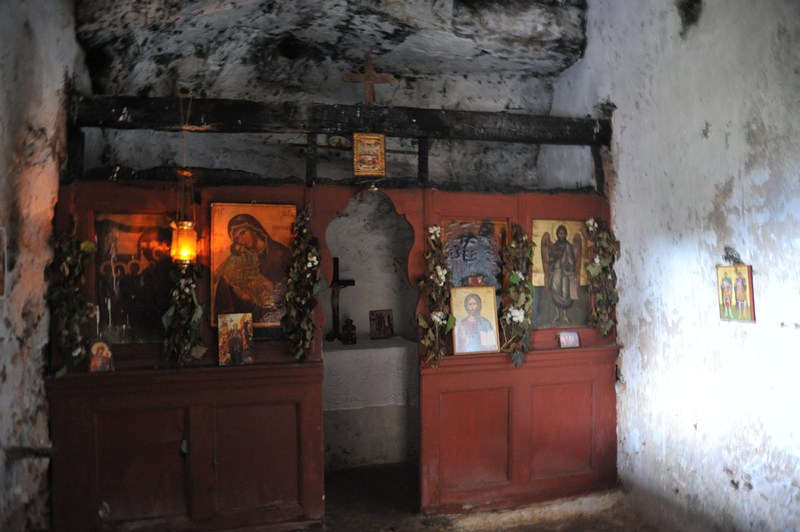 The visit to Guverneto offers travellers the opportunity to view two interesting Christian monuments in the area. 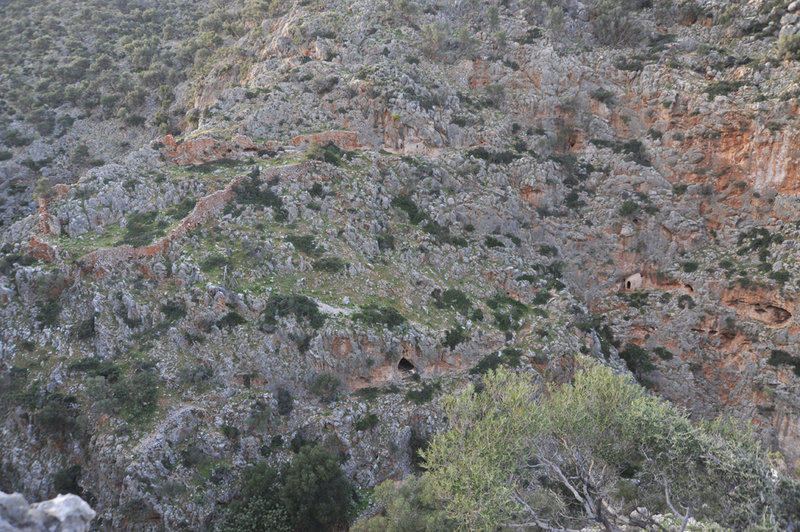 North of the monastery a stony downhill path leads to the Cave of Arkoudiotissa (Bear Lady). The name comes from a stalagmite in the form of a bear and within the cave traces of Goddess Artemis [Diana] worship have been found. 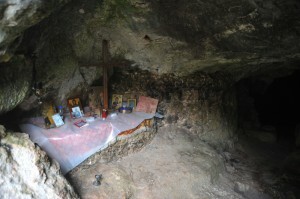 Today, at the cave entrance there is a small chapel dedicated to Mother Mary. 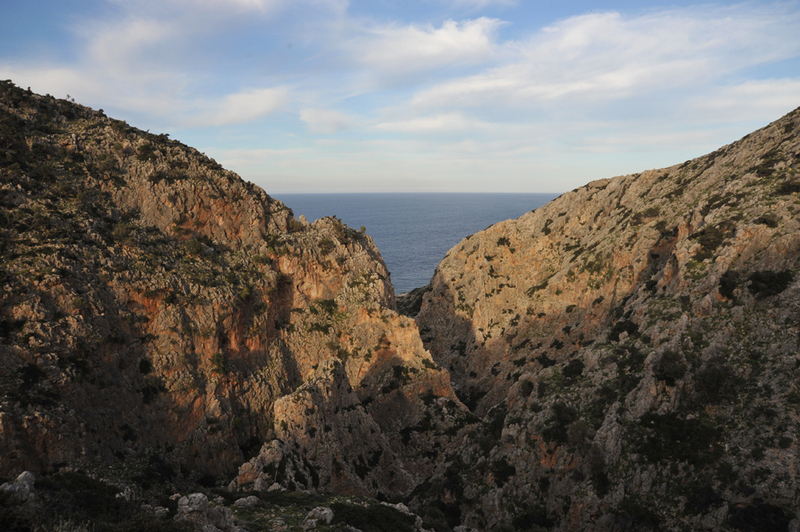 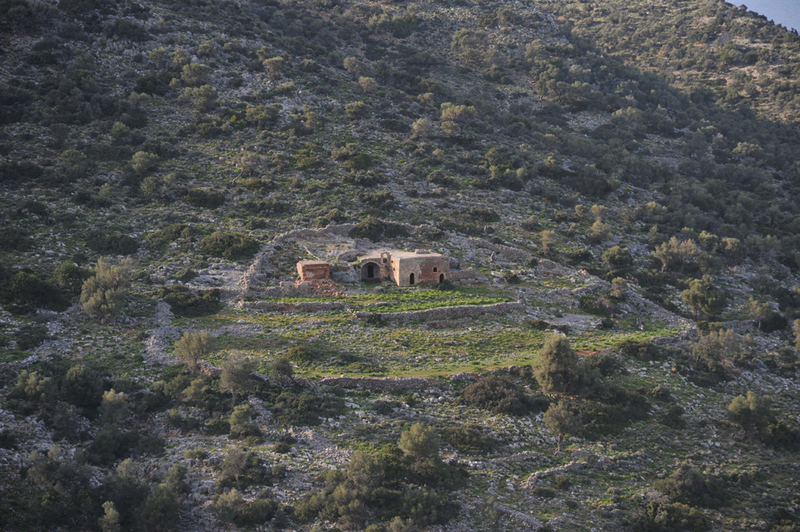 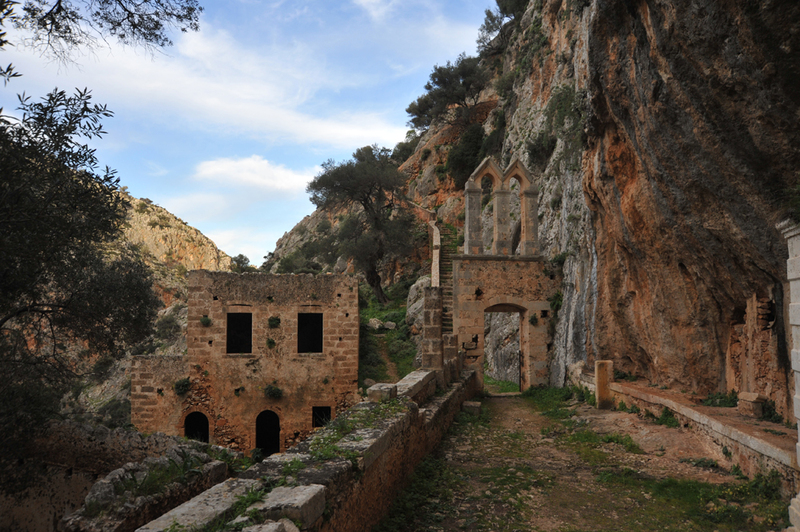 A short distance further to the north, within a wild and magnificent gorge named Avlaki, lies hidden the Monastery of St. John the Hermit or Xenos, which is considered to be the oldest monastery of Crete, dating back to the 6th or 7th century and better known as ‘Catholicon’. 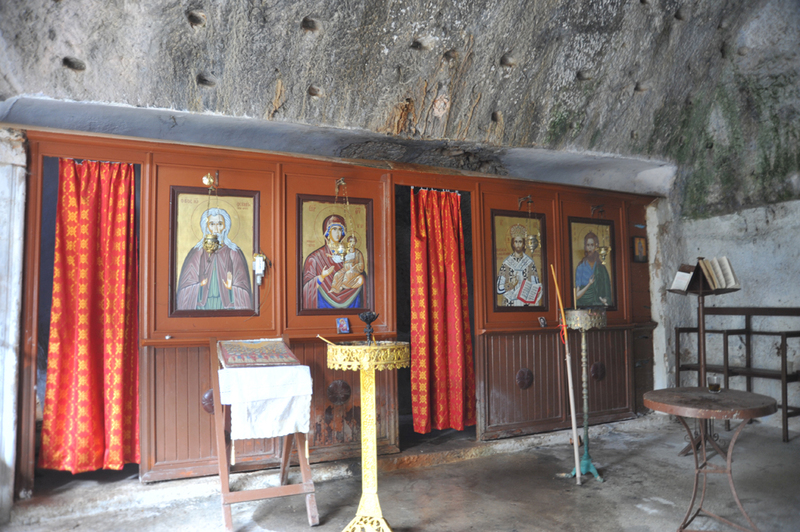 The Catholicon (main church) of the monastery is carved into the rock, while according to the legend, St. John lived in a nearby cave as a hermit. 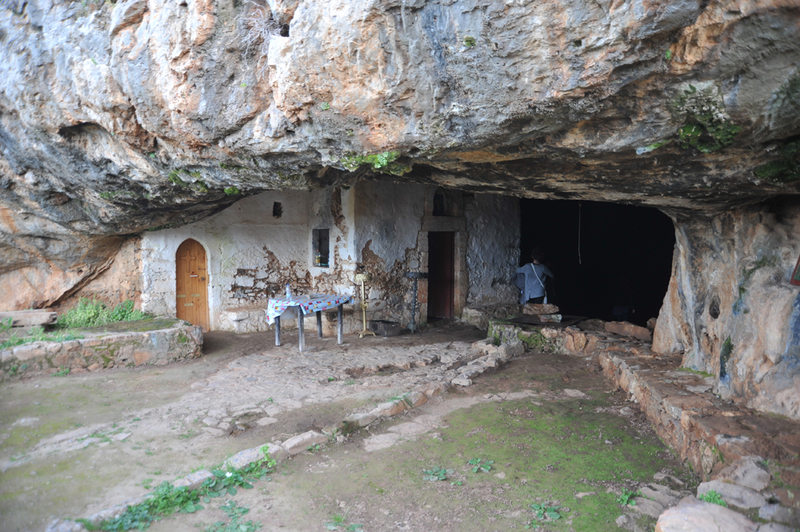 There is a bridge spanning the gorge, which connects the church with the slope on the other side and functions as the cloisters. 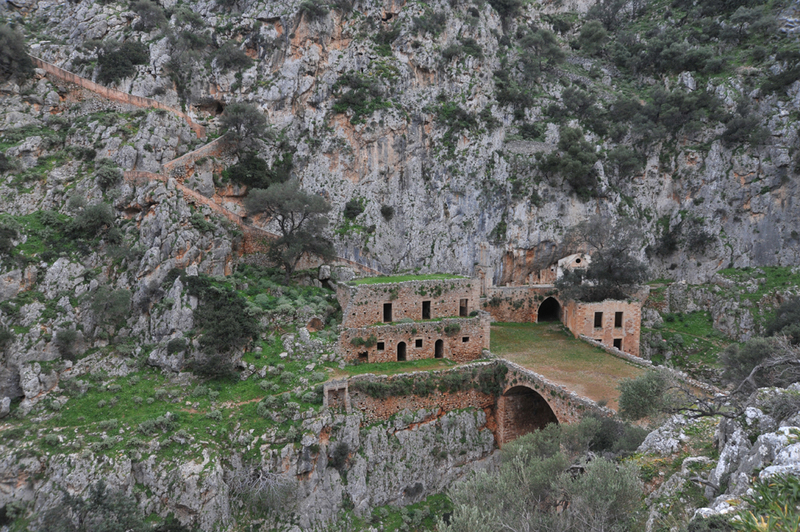 On the slope across the gorge there are sketes (monastic communities), where it is believed anchorites lived in early Christian years. 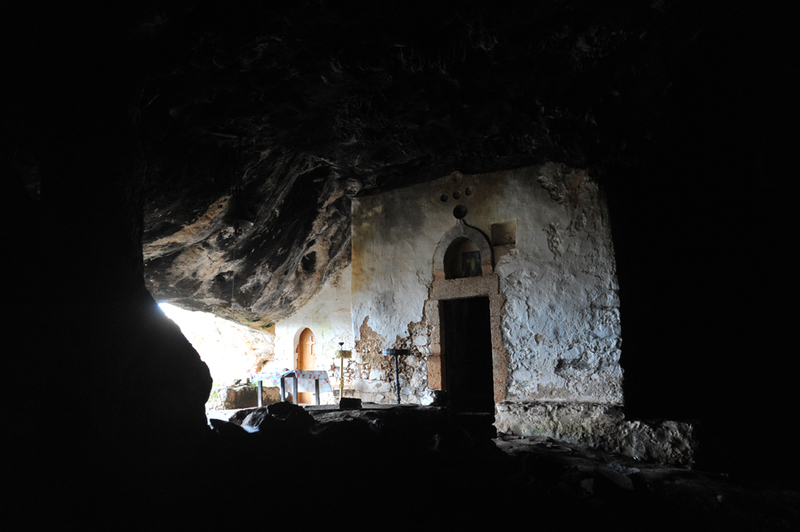 The Catholicon was deserted when most monks passed away; those left, according to the most convincing view, left and built the monastery of the Lady of the Angels (Kyria ton Angelon).